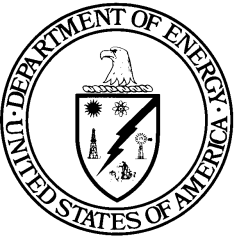 The U.S. Department of Energy (DOE) prepared DOE/WIPP 95-2092, Revision 1, Waste Isolation Pilot Plant (WIPP) Borehole Data Report (the Compliance Certification Application [CCA], Appendix BH) (U.S. DOE 1996) to serve as a central document, providing data on boreholes used in characterizing the site. The report contains a comprehensive database on wells drilled in support of the Waste Isolation Pilot Plant (WIPP) Project and boreholes located within the 16-section land withdrawal area. The CCA, Appendix BH (U.S. DOE 1996) describes seven groups of boreholes: commercially drilled boreholes, DOE wells, geologic exploration boreholes, hydrologic test boreholes, potash boreholes, subsurface exploration boreholes, and Water Quality Sampling Program boreholes. There are 179 boreholes listed in the report. At the time of the CCA, 80 of those boreholes were being used as monitoring wells. The rest of the boreholes were plugged and abandoned after being drilled for their specific purpose, i.e., potash information, hydrocarbon information, or WIPP site characterization information. The Appendix DATA-2004, Attachment G, WIPP Borehole Update (U.S. DOE 2004), was provided to add the new monitoring wells drilled since the initial certification and wells that were in use but omitted from the CCA, Appendix BH. The Appendix DATA-2004, Attachment G provided information on 112 boreholes. The Appendix DATA-2009, Attachment A, WIPP Borehole Update (U.S. DOE 2009), was provided to add the new monitoring wells. The Appendix DATA-2009, Attachment A provided information on 215 boreholes. For the 2014 Compliance Recertification Application (CRA-2014), a thorough search was performed to define the number of boreholes associated with WIPP site characterization and monitoring. Currently, there are 221 boreholes that were either specifically drilled to support the WIPP site characterization process or obtained for monitoring purposes. This update provides the status for those boreholes. Table DATA-A-1 provides the status of all 221 boreholes, including the name of the formation being monitored, whether the borehole is currently configured as a water or observation well, and whether it has been plugged and abandoned. A status of "N/A" means the borehole was not being used or had not yet been drilled at the time of the status report. "Observation" means the borehole was drilled for site characterization, but left unplugged for future monitoring purposes. This section provides basic data on the new wells drilled (6) and the wells plugged (7) during the CRA-2014 monitoring period (October 2007 through December 2012). All WIPP monitoring wells have been drilled in New Mexico within the vicinity of the WIPP site. The Bureau of Land Management (BLM) controls the drilling, operation, and abandonment of hydrocarbon wells on federal land in New Mexico. The New Mexico Oil Conservation Division controls the drilling, operation, and abandonment of hydrocarbon wells on state and patented lands in New Mexico. The New Mexico Office of the State Engineer regulates the drilling, operation, and abandonment of groundwater wells (this includes mineral exploration, monitoring, and observation wells) in the State of New Mexico. This agency has regulatory oversight of wells in the WIPP land withdrawal area. All WIPP monitoring wells have been permitted through this agency and drilled according to the regulations in place at the time of drilling. Right-of-way permits have been acquired from the BLM when monitoring wells are located on federal lands outside the WIPP land withdrawal area. Notes: The well was cemented to the surface using Class C neat cement. Notes: In 2002, the open-hole portion of the well was inadvertently plugged during pressure grouting of well H-9A. The well was cemented to the surface using Class C neat cement. Notes: Plugged due to improper screen depth by driller. The well was cemented to the surface using Class C neat cement.